Instantly see who has which permissions on your shared folders and their content. LepideAuditor for File Server enables IT teams to analyze current permissions applied to shared files and folders. It helps you ensure that only the right people have access to the right data, thus minimizing the risk of security breaches. With LepideAuditor, you can instantly see who has received which permission, and from where, on a shared file or folder in your File Server. LepideAuditor generates reports that clearly show the current permissions of Active Directory objects on the shared files and folders of Windows File System. 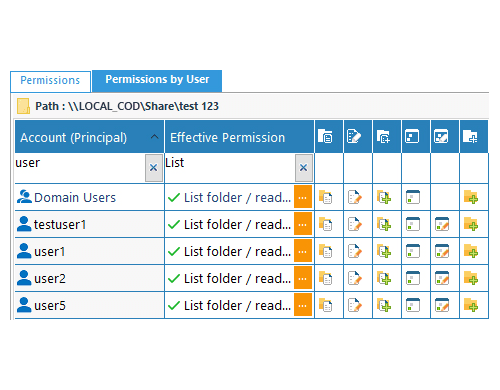 With numerous options available, you can get a summarized view of the different kinds of permissions very easily. Our automated solution scans the permissions of the selected shared files and folders either manually or at scheduled intervals. 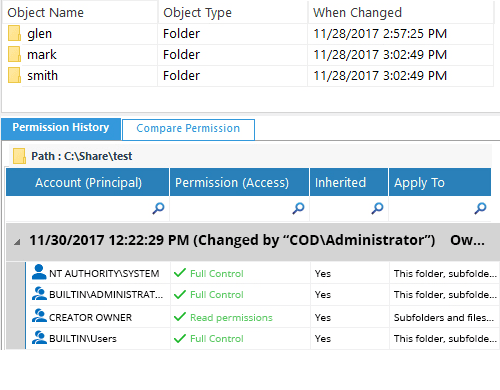 LepideAuditor for File Server evaluates the current effective permissions after calculating the NTFS permissions and Share permissions. That way, you can see the exact current permission for any user on any shared file or folder. 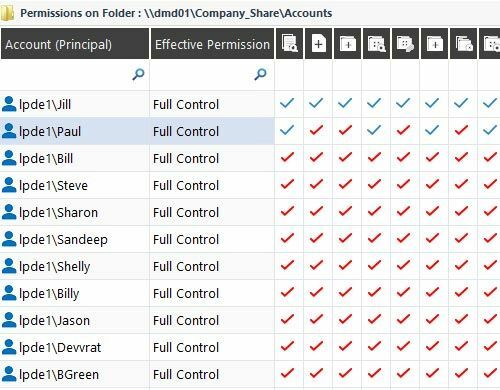 All 13 permissions are evaluated one by one, and the final current permissions applied on a selected file or folder for an Active Directory user, group or another object. Each permission is denoted with a different icon and a different color. 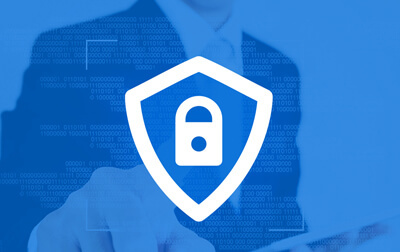 Our File Server change auditing solution has dedicated features that help you analyze the inherited permissions applied on shared files and folders. 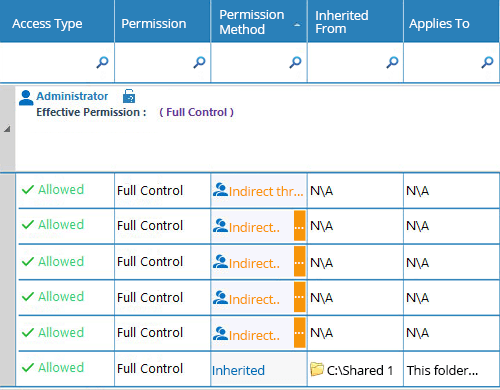 You can view the inherited permissions report and sort it by users in a different tab. 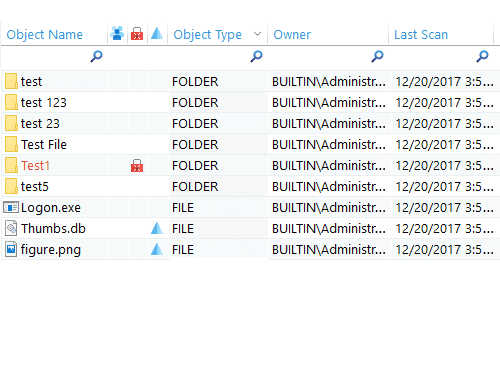 In the section where the list of sub-folders and files of the selected folder are displayed, a red icon will denote where the inherited permissions broke. Our solution also provides a dedicated screen to view the group memberships for a user who has inherited permissions on the selected file or folder. Stale objects in the File Server are actually unused files and folders. It is necessary to monitor these objects to prevent insiders from misusing them. Some files or folders are not meant to be used for long, as they store critical business information. Using them can increase the chances of data loss. Lepide File Server Auditor shows you which objects are stale at any one time. It can reveal any change made to stale files and folders and can send you real-time alerts. 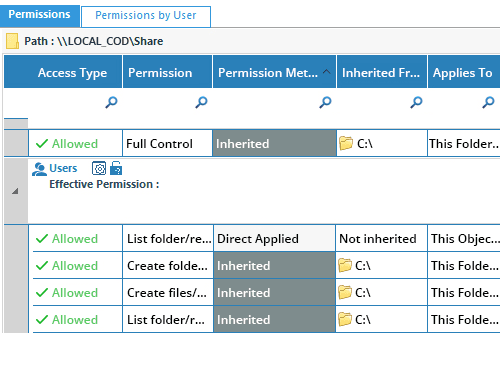 After viewing the current permissions of a selected file or folder, you can investigate how the permissions to this file or folder have been applied and what changes have been made. The investigation opens in a separate and dedicated window, where you can apply the filters and check the permission changes for other objects in the hierarchy. In the Current Permissions report, you have three levels of filtration to gather the required data. Filters can be applied to folders and types of files in File Server. After generating the report, you can further filter the content (sub-folders and files) of the selected folder to find which permissions you want to see. 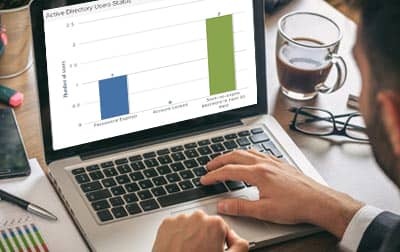 The third level further enhances the detail of the report by filtering by account; helping you determine direct permissions, indirect permissions and inherited permissions. You can switch to the “Permissions by User” tab to view reports sorted by users. All these reports can be saved in multiple formats like PDF, MHT and CSV. Just as important as understanding who has got access to your most critical data is having a better understanding of if they actually need access and if the level of access is appropriate. With our excessive permissions reporting we can help you adopt a stronger least privilege model and revoke privileges from users who are not actually utilizing them. Thus, giving you the visibility you need to further improve the security surrounding your organization’s data. Lepide have been nominated in three categories in the 2018 Computing Security Awards: Cloud-Computing Solution of the Year, Security Solution of the Year and the Customer Service Award. LepideAuditor is simple to install and setup and is an easy-to-use solution for auditing your IT environment. LepideAuditor takes the strain out of change auditing and regulatory compliance with one of the most comprehensive solutions on the market. It’s rare to find a solution which covers a such a wide range of auditing services, but ‘LepideAuditor’ is one of those rare exceptions. LepideAuditor is one of the most simple to use and feature-packed security suite for Microsoft-based environments. 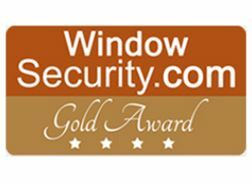 If you fear security breach, this is one of the most essential security perimeters. LepideAuditor is an excellent audit solution. It gives IT teams complete information about what’s happening in the IT systems, the health of their servers and backup history. The LepideAuditor is an invaluable toolset for any System Admin to audit Active Directory, Group Policy and Exchange server changes. I really enjoyed the way LepideAuditor performs to audit the changes made to Active Directory and Group Policy Objects. I will certainly recommend it to anyone who is looking for an easy-to-use third party auditor. LepideAuditor is highly recommended as it not only meets all requirements for Active Directory and Group Policy change auditing but also it is easy and friendly to use. LepideAuditor is an excellent auditing solution. Some key features of the solution are compliance reports, health monitoring, alerts/notifications and the backup/restore functionality. LepideAuditor is a solid product that will likely do a good job for anyone who wants to know what administrative actions are being taken in their organization. 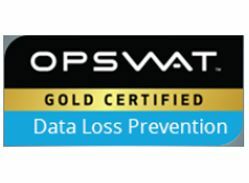 LepideAuditor received a gold certification in data loss prevention. Given the nature of the finance industry, it understandable why it is cybercriminals’ prime target. 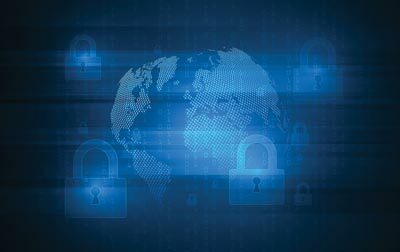 In 2018, attacks on financial services accounted for 17% of cyber-attacks globally. In this whitepaper, we have put together a list of tips and tricks to help CISOs communicate effectively with the board on cybersecurity strategy. The latest version of LepideAuditor introduces key new functionality to help users with data discovery, classification and user/entity behavior analytics.